Happy Birthday Martha! I hope you have a great day! I don’t have any special birthday traditions, maybe I should start one LOL. Those palettes are so nice. They seem more expensive than they are! 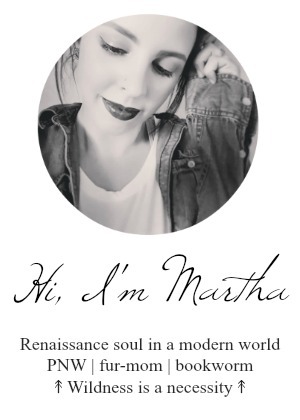 Happy happy birthday Martha! I hope you are having lots of fun! My birthday tradition is to eat lots of cake and drink too much wine. I would be very excited to try all the items but right now I am loving all kinds of eye shadows a lot so I would love to try the palettes. 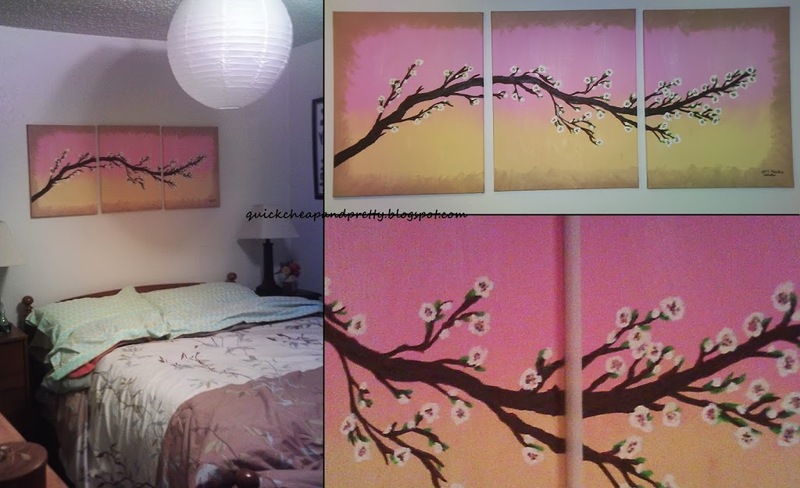 I love those palettes because you can create so many different looks with them. I always go with my family to the same Japanese-themed restaurant, every single year! You should, they’re so fun! I don’t think I have any, only always eating a birthday cake haha. I would love to try out the EOS Lip Balms! I was spend time with my twin sister on our birthday! Great giveaway. Probably the mascara trio or the Wet and Wild palettes! 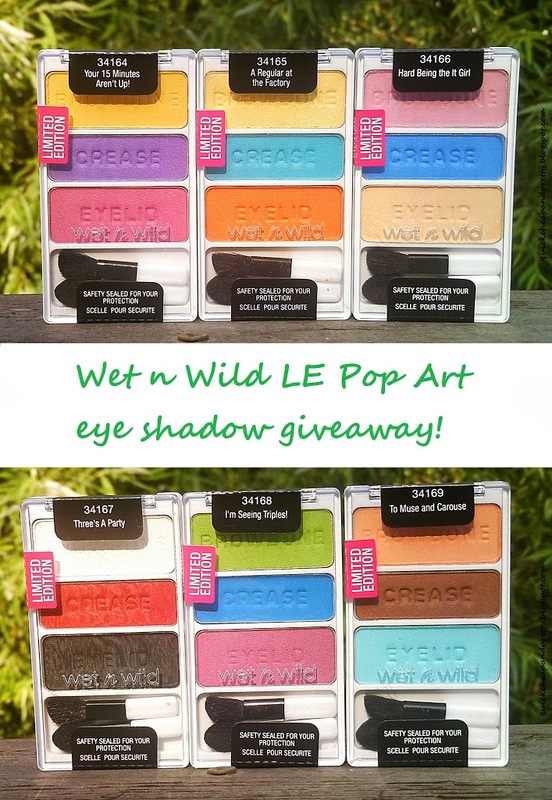 I am interested in trying the Wet n Wild palettes and the e.l.f studio blush. Aw, thank you! Cake is always yummy. I’d love to try the Freeman masque. It sounds so luxurious. The EOS. I still haven’t tried it! Those EOS lippies are awesome! You have to try them! Aw, thank you! Just getting ready for birthday dinner :) Gotta have new playlists ready, natch! 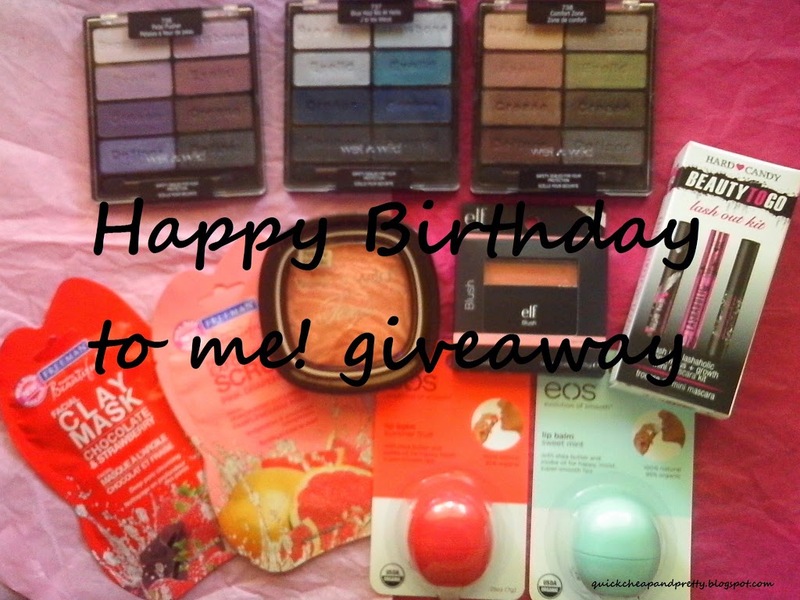 Wish me luck and Happy Birthdaaaaaay ! I don’t do anything special for mine. I’m excited to try the wet n wild palettes and the Hard Candy mini trio mascaras! Ice cream cake was always the tradition in my family. My birthday’s coming up in a couple of weeks, so I’ll have to hunt one down! I’m most excited about trying those face masks. Thanks for the giveaway! Happy Birthday!!! We always have cake & ice cream as well as a Birthday dinner. I like opening my birthday presents in bed! We always mix it up so that each birthday is a little different. One time my mom reserved an entire week for my birthday and took the family to Disney Land. Another week, we drove up to Myrtle Beach and had a beach birthday with two of my closest friends and another time we had a huge barbeque. I would be most excited about the Hard Candy mini mascara trio. I am a mascara junkie! 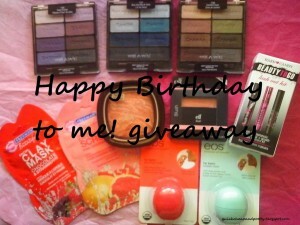 I’m most excited to try the Hard Candy mini mascara trio and EOS lip balm. Happy, Happy Birthday! I hope you had a super relaxing and wonderful birthday! 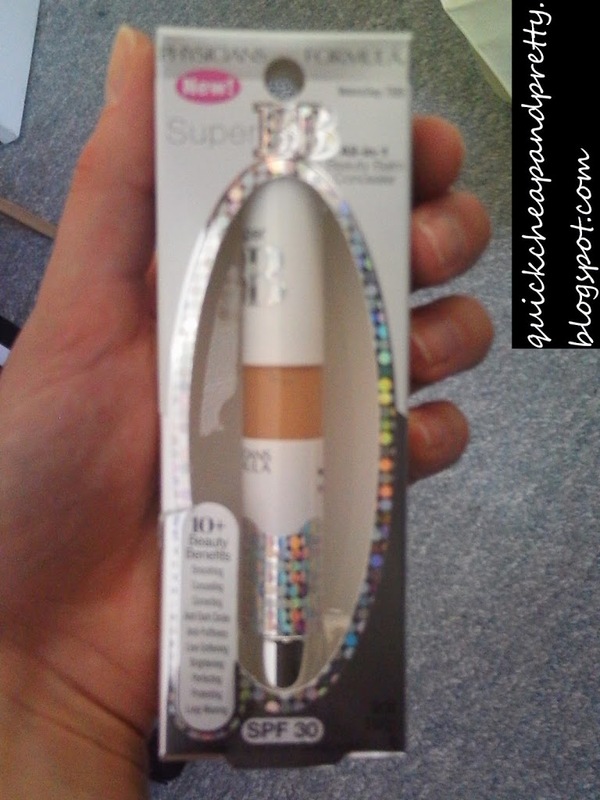 I think the thing I would like to try most is the mini mascaras – I love minis! I can never commit to 3 months of ONE mascara so minis are awesome! Happy birthday! and greats ong! for all my birthday i eat cake with friends and parents,and drinking too much :D :D bye!!!! I and my family usually go to the cinema!! Alas, i am also a bit of a party pooper when it comes to my birthday – i tend to hide away for the day and come out of hiding the next day!! Hope youre celebrating it better than i do! oop! Also, would love to try the Hard Candy mascaras! Im always on the hunt for ones that stay on the lashes and dont make me look like a panda!! LOVE eos lip balms- so easy to find in a purse and fun shaped, too! Everything’s beautiful, thank you for this opportunity! Another little comment ^_^ Thank you so much for this giveaway! I usually just want birthday cake lollol!